Due to their slower speeds and lighter traffic, many people think of parking lots as safe driving zones. However, a surprising number of accidents actually occur in them. Just as with accidents on the road, parking lot accidents often result in damage to property and injuries to people. Expensive repair bills and medical expenses soon follow. Whether a minor fender bender or an expensive accident injury, a Salt Lake City parking lot accident lawyer can help you receive the compensation you are due. Parking lot accidents are treated the same as any other type of accident. This means that comparative negligence laws will apply. After hearing the evidence, the court will assign each driver a percentage of fault for the accident. This percentage will have a direct impact on your final settlement amount by reducing it by that same percentage. For example, if you are awarded a $10,000 settlement but are assigned 10 percent of the fault, your settlement will be reduced by $1,000. Hence, it is important that your Salt Lake City parking lot accident lawyer know all the circumstances surrounding the accident so the right amount of comparative negligence can be assigned to the driver who hit you. This will help ensure that you receive the most compensation possible. Any evidence that demonstrates the negligence of the other party will be essential in proving your case. Fortunately, parking lots have some unique features that may make evidence easier to find. Parking lots tend to see a lot of foot traffic. While this obviously means that drivers have to be aware of pedestrians at all times, it also means that you may have a number of eyewitnesses available in the event of an accident. Make certain to take note of any bystanders who see what happens and get their contact information. Their testimony could be essential to your case later. Similarly, parking lots often have surveillance cameras installed throughout the premises. Security footage can be especially valuable in scenarios where someone damages your car while you are away and leaves the scene. For whatever reason, some parking lot owners may be reluctant to give you access to security footage. If this happens, a Salt Lake City parking lot accident attorney can help you acquire the evidence you’ll need for your case. When most people think of a parking lot accident, they probably picture a minor fender bender where one car backed out of a space and into the way of another. Many parking lot accidents take place between just one car and either a pedestrian or an inanimate object, however. It is important to demonstrate all contributing factors of an accident and who was responsible for each. Drivers, pedestrians, and parking lot owners could all share some portion of the blame. Consult a Salt Lake City parking lot accident lawyer in order to determine who was responsible for the circumstances that lead to your accident. 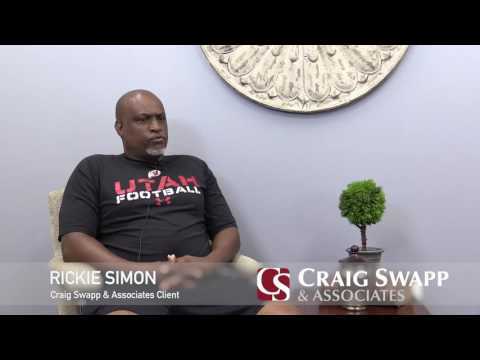 To discuss your case in further detail, contact a Salt Lake City parking lot accident lawyer at the offices of Craig Swapp & Associates by calling 1-800-404-9000 or reaching us online through the form below.